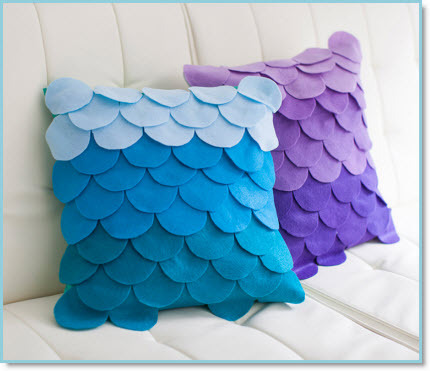 Roxy Taghavian of “Brit + CO.” is sharing her stunning “No-Sew Scalloped Ombre Pillows Tutorial” with us and they are lovely. Ombre is so popular in fashion and décor and these are easy and will freshen up your home. Roxy has an excellent pictorial tutorial for us to follow. Thanks so much Roxy for sharing this charming project. So many great ideas! Your a Crafty Diva!? ?